Ranga Pen Company was founded by M.S.Pandurangan at Thiruvallur (45Kms form Chennai ,India) in 1970 . 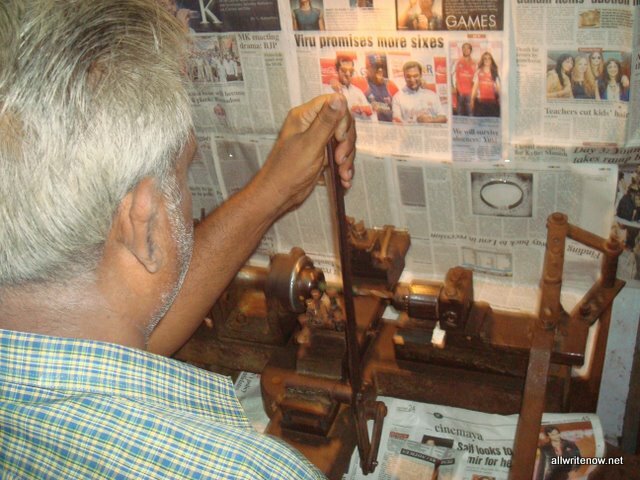 M.S.Pandurangan (Age 65) possess God's Gift of Pen making craft .He learnt the art of pen making at the age of 13-15 through his unparalleled passion for making pens. Then he started his own company . We are specialized in making only pens for these 50 years and we don't know anything except pens.The specialty of this making process is it is completely handmade which requires extensive skills . We are proud to be a craftsmen always .We thank our Customer's, Well wisher's and God for giving this craft to us. Initially the pens are made by Foot powered Lathe for which electricity is not needed. Then we slowly moved to machines .We made thousand's of celluloid (Cellulose Nitrate) pens in our early days. Though we use old process , we deliver what is needed for modern day customer's without comprimising vintage feel. All of our pens would revive your olden golden memories. The pen company is now run by, M.S.Pandurangan and his Son M.P.Kandan. M.P.Kandan also helps his father in pen making and marketing. The speciality of Ranga Pen Company is having wide range of colours, materials, Models, Nibs and Filling Mechanisms. We have around 50 Models in Ebonite and Acrylic's in Fountain pens, Ball Pens and Roller ball Pens. There are about 50 colours available in ebonite and 25 colors available in Acrylic. There has been huge demand for our products as they are completely handmade . The attention given to each pen is at its maximum since we sell our pens directly to the customer's. Since we make pens by hand, Everything is possible to us (Designs etc ). We thank all of our beloved customer's who encourages and support us to make this art alive. We enjoy and feel proud to be with this Art as our end products are used for good purpose. We have customer's over 100 countries and few retailer's also represent our "Ranga" brand across the globe. We also make OEM model pens for reputed Pen companies. we have many Student's, Doctor's , Lawyer's, accountants ,Artists as our Customer's including all professions. Most of our customer's are repeat customer's . We have grown our business because of good word of mouth by our customer's. The Ebay feedback and appreciation mails are big motivation for us. Our pens are vey ideal for Daily Writing,Pen Collection and Gifting. 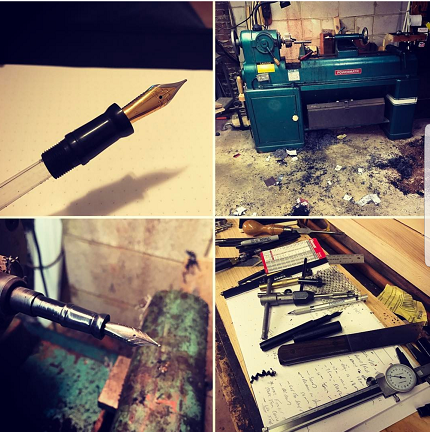 We love each and every pen that we make. So the best quality is guaranteed. We work on Customer first policy .We give exemplary customer service . Our post sales service and Communication is excellent. Our Customer's need not to worry about their purchase. On time delivery is accompliesed for all the orders. Appreciations from ours customers makes our every day. You can find many reiews in Internetand fountainpennetwork. We have dedicated our life and Soul to this Pen making Art. We offer our pens at reasonable price with high quality workmanship.